The new IBF and WBA heavyweight champion of the world, Anthony Oluwafemi Joshua, could have fought Vladimir Klitschko, as world boxing champion, under the green white green banner of Nigeria rather than the British Union Jack. But for one small and now ultimately significant rejection by Nigerian boxing officials in 2008, when he wanted to represent the country of his parents at the Olympic Games, was to alter the course of history, ESPN reported on Sunday. Maybe his career would have taken an entirely different fork at the crossroads if he had been flying the green and white colours nearly a decade ago. Joshua makes no secret of his Nigerian heritage. If anything, he embraces it. His middle name, Femi (short for Oluwafemi), is as Nigerian as they come. On numerous occasions he has not been shy to speak about his Nigerian roots. In a post-fight interview muck-around with Nigerian reporter Oma Akatugba, he even attempted to speak some of his native Yoruba language, and the map tattooed on his shoulder tells its own cultural tale. It is a reflection of how connected he has tried to remain to his African roots. Indeed, some of 27-year-old Joshua’s early years were spent in Ijebu-Ode Nigeria before he returned to the UK halfway through Year Seven to join Kings Langley Secondary School. Growing up on the Meriden Estate in Garston, Hertfordshire, Joshua was called ‘Femi’ by his friends and former teachers. He excelled at football and athletics and broke the Year Nine 100m record with a time of 11.6 seconds. At 11, he joined his Nigerian mother Yeta in the most populous black nation on earth for six months and attended a boarding school within that period. Joshua told MailOnline that he felt he went to Nigeria on holiday. “I thought I was going there (Nigeria) on holiday,” he said. “I wasn’t prepared for it. It was a boarding school as well. It was a change and I thought I was going to go for the full course: 5.30am in the morning, up fetch your water, put like an iron in your water to warm it up. Your clothes had to be washed and ironed. “It wasn’t an issue but I wasn’t prepared. It was good discipline. We got beaten. That’s my culture: beating. The (British) government raises your kids now; parents aren’t allowed to raise their kids, because there is so much control (here) about what you do or what you say. At the end of six months, which he believed taught him discipline, Joshua and his family returned to the UK, and he resumed the path that led to him being discovered as a promising amateur fighter. It was that connection that drove him to try and represent Nigeria at the 2008 Olympic Games, only to be turned down by the country’s boxing coaches. Nigerian boxing team, tells the story: “He reached out to us, asking to be part of our Olympic team, so we invited him to come down and take part in the trials. “Unfortunately, he did not appear when we asked him to and came down only when we had finished our trials, finalised our team and were about to travel for a training tour. Maybe other coaches would have accepted it, but I could not. Both Olanrewaju and Ohwarieme failed to go beyond their first bouts at the Beijing Olympics. Olanrewaju lost to Cuba’s Osmay Acosta, who went on to win bronze, while Ohwarieme was beaten by Lithuania’s Jaroslavas Jaksto. But Nwankpa remains convinced that Joshua would not have fared any better at the time. However, Jeremiah Okorodudu who represented Nigeria at the 1984 Olympic Games, has another take on why Joshua was rejected. His relationship with Nwankpa is frosty at best and they do not often agree. Okorodudu claimed that some stinging words were said to the young boxer. “When they turned him back, they told him that if he was that good he should have fought for Britain,” Okorodudu alleged. That snub, it seems, provided additional motivation which spurred the young boxer to fight his way into the British Olympic team. Four years later, Nigeria’s rejected nugget had become Great Britain’s cornerstone Olympic gold medalist. So is it possible that Joshua dodged a bullet by that rejection? Nwankpa grudgingly agreed: “Well, maybe if he had represented Nigeria at that time he would not have won gold at the Olympics. And possibly, even if he had won, he may not have achieved what he is achieving now. “Being born in England gives him a certain amount of preference and because he is representing them, he also gets a lot of support from them; good management, and world class preparation. “Here, it would have been difficult for him to get the kind of support that he has now. And if he doesn’t have that support, he won’t have fights and if he doesn’t have fights, he cannot be champion,” Nwankpa argued. Okorodudu again holds opposite views to Nwankpa: “I believe he could still have achieved all that if he had fought for Nigeria. We have had boxers who have done well fighting for Nigeria. Peter Konyegwachie won silver in 1984. David Izonritei also won silver and I trained Samuel Peter for three years before he went to the Olympic Games and later became a world champion. On further reflection, however, Okorodudu admitted it would have been a harder journey for the young champion. “Lack of fights is a big problem for our boxers. They turn professional and there is no promotion. Joshua is where he is because he is getting good promotion, so maybe it would have been tougher for him. “But because he was born in England, he could still have moved abroad, like Peter did, and that would have worked for him,” Okorodudu added. Nwankpa, who was close to being a world champion himself until he lost the WBC title fight to Saoul Mamby, however, maintained that he has no regrets about his decision to cold-shoulder Joshua. “I would do it again because we must always do things the right way. Simply because somebody was born abroad does not mean he can just walk into our team without taking part in our trials. “That would be unfair to those who sweated to take part and qualified. So no, I have no regrets at all. But I am happy for him,” Nwakpa told ESPN before Saturday’s fight. Choices: we are the sum total of the choices we make. For Joshua, he is the sum of choices stemming from one made by Nwankpa. Hard not to think that in his moments of quiet introspection, he will find himself thankful for the little mercy of having suffered that rejection early in his career. Meanwhile, after winning the historic fight in front of 90,000 people at Wembley and with millions watching all over the world, Joshua challenged another heavyweight great, Tyson Fury, to a match. Fury beat Klitschko in 2015, but was stripped of his titles shortly afterwards and has not fought since. Taking up the challenge, Fury responded to Joshua calling him out immediately after his victory over Klitschko by saying “challenge accepted”. 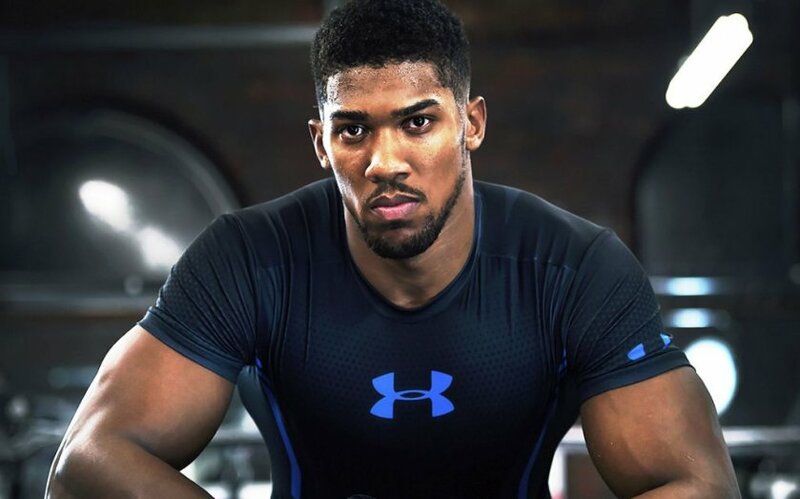 “Tyson Fury, where (are) you at baby?” asked Joshua. “I want to give 90,000 people another chance to come back and watch some boxing here,” shouted out Joshua who is now a three-belt champion as he also holds the IBO title. Tyson Fury accepted the challenge – some have called this next bout to be one of the biggest in 500 years of boxing history. Fury last year surrendered the world heavyweight titles he won by beating Klitschko in an effort to focus on his mental health problems. The 28-year-old has won all 25 of his professional fights so far, 18 by knockout. Joshua now boasts a perfect 19-0 record following his win over Klitschko, with all of the 27-year-old’s victories coming inside the distance.